Velocity is one of the first things people look at in a pitcher. Whether they’re a scout, coach, or just your generic fan, velocity matters. College and High School players who throw the ball harder than the rest of their competition are getting drafted earlier. Players like Aroldis Chapman and Jordan Hicks have become icons in the MLB because of their ability to fire the ball at triple digit speeds. These pitches aren’t just fastballs though, as others like Noah Syndergaard throw sinkers faster than many players in the league. Velocity is important. Increases in velocity can be the result of a player getting the right coach, making the correct adjustments, lifting more, or even simply throwing the ball harder. A decrease in velocity, however, can tell if a player is dealing with/about to have an injury or age is catching up to them. To see who lost and gained velocity the most, I used the vFA stat on Fangraphs. In their glossary, vFA represents Four-Seam and Unclassified Fastballs and is from Pitchf/x data. The pitchers that were included had to have pitched at least 50 innings each in 2018 and 2017 (so guys like Ervin Santana will not be on the list). I thought about using some other velocities like sinkers and cutters but they were inconsistent as guys with the biggest drops in velocity were taking those pitches out of their arsenal so for now, we are going to stick with Four-Seam (and Unclassified) fastballs. 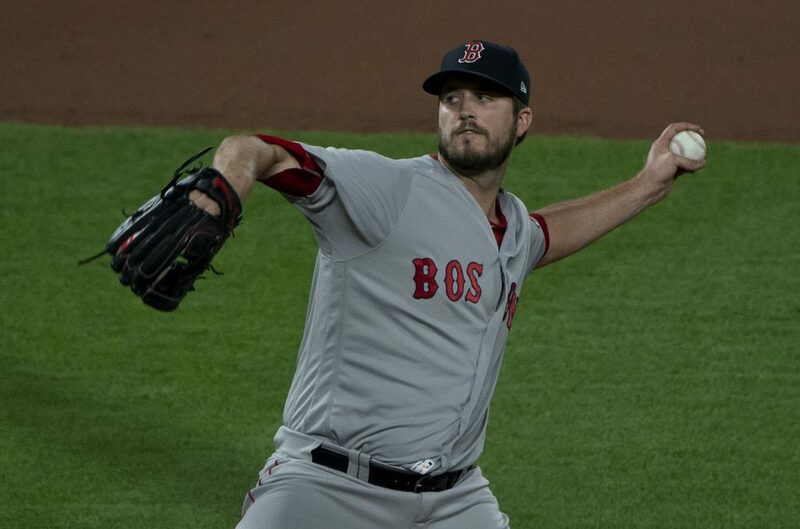 After a decent 2017 season with the Boston Red Sox, going 17-6 with a 3.32 ERA and generating 3.2 fWAR, Drew Pomeranz was horrendous in 2018. This dip in velocity is due to the fact that Pomeranz battled injuries practically all season. He suffered a forearm injury in spring training and didn’t make his first start of the season until April 20th. He then went on to have some average performances early on before he started getting demolished and was ultimately put on the disabled list again with biceps tendonitis in June. After being activated again, he still pitched poorly and got demoted to the bullpen. Now, after signing with the San Francisco Giants, it’ll be interesting to see if Pomeranz can get his velocity back up after recovering from a long season or if his injuries in 2018 have plagued him for good. The Miami Marlins are trying to get their young guys playing time as they are trying to put out a successful team for the future. The 25-year-old Garcia though struggled significantly this season as he bounced from starting games to becoming a long reliever, and was even demoted to AAA at one point. Unlike Pomeranz, the only injury Garcia suffered through the season was an ankle injury after getting hit with a line drive in August. It was said that Garcia was overthinking when he was on the mound and shaking off a ton of pitches. He threw 53% fastballs, 25% changeups, and 23% sliders and finished the year with a 4.91 ERA and a 6.37 FIP. Now Boyd made this list based on season fastball velocity. However, if you look at how the season progressed, Boyd got back up to his usual speed on his fastball. He changed up his arsenal a bit, throwing in a slider into the mix going from 10% in 2017 to 31% in 2018. His fastball he didn’t use very often at the beginning of the season, and then began using it more each month which helped his velocity go back up, averaging 92.37 in September. Although Boyd topped out at or above 96 his first three seasons, his highest speed pitch in 2018 was 95.77. In his first season with the Rangers, Mike Minor suffers a dip in velocity. This further resulted in the poor season he had and now there has been talk of the Rangers trading him. Batters went from only hitting .192 off him in 2017 all the way up to .280 in 2018 as a result of his drop in speed. Could Minor bounce back next season in a different uniform? The fifth guy here is an interesting one. Pazos is now a Philadelphia Phillie as he was included in the trade that sent him along with Jean Segura and Juan Nicasio from the Seattle Mariners. Pazos didn’t have a poor season like the other four guys mentioned, as he has a 2.88 ERA but an xFIP of 4.15. Pazos threw exactly 50 innings last season, so he just made the sample. The other interesting thing about Pazos is he threw his fastball 91% of the time last season and its velocity decreased as the season went on, which lead the Seattle Mariners to believe he was dealing with some sort of injury. For a guy who uses his fastball as much as he does, Pazos is definitely someone who has to hope his velocity returns to normal in 2019. Unlike his teammate Garcia, Conley’s velocity hiked up an absurd amount in 2018. This could mostly be due to the fact however that he was moved from a starter to a full-time reliever. He started at least 20 games in 2016 and 2017 to starting in zero but appearing in 52 in 2018. As a result, he had a career low FIP of 3.60. The Cincinnati Reds Garrett is in the same boat as Conley. He had an awful 2017, his first season in the majors, where he put up a 7.39 ERA and FIP with -1.2 WAR in 70.2 innings pitched. Of the 16 games he appeared in, he started 14 of them. In 2018, he appeared in 66 games and started zero. As a result, he threw harder and put up a more respectable ERA of 4.29 and 3.89 FIP. Put Lugo along with Garrett and Conley as having moved from being a starter to a reliever. After finishing 2017 with a 4.71 ERA, the New York Mets decided to move him to the bullpen. He pitched the same amount of innings in 2018 as 2017, but made five starts in 54 games compared to 18 starts in 19 games in 2017. Lugo became much more dominant as a reliever with a 2.66 ERA and a 3.17 FIP. Glasnow was part of the package that sent Chris Archer to the Pittsburgh Pirates. Glasnow hovered around 95 at the beginning of the 2017 season. He was then sent down to Triple-A in June and wasn’t called back up again until September. He averaged 95mph every month of 2017 except for September where he hit averaged 97 in three appearances. He started off the season in the Pittsburgh bullpen in 2018 and then became a full time starter again when he was traded to the Tampa Bay Rays. It’s safe to say that Glasnow’s velocity spike actually started at the very end of 2017 and he kept it up in 2018. The 2018 AL Cy Young Award winner had the fifth highest increase in velocity last season. 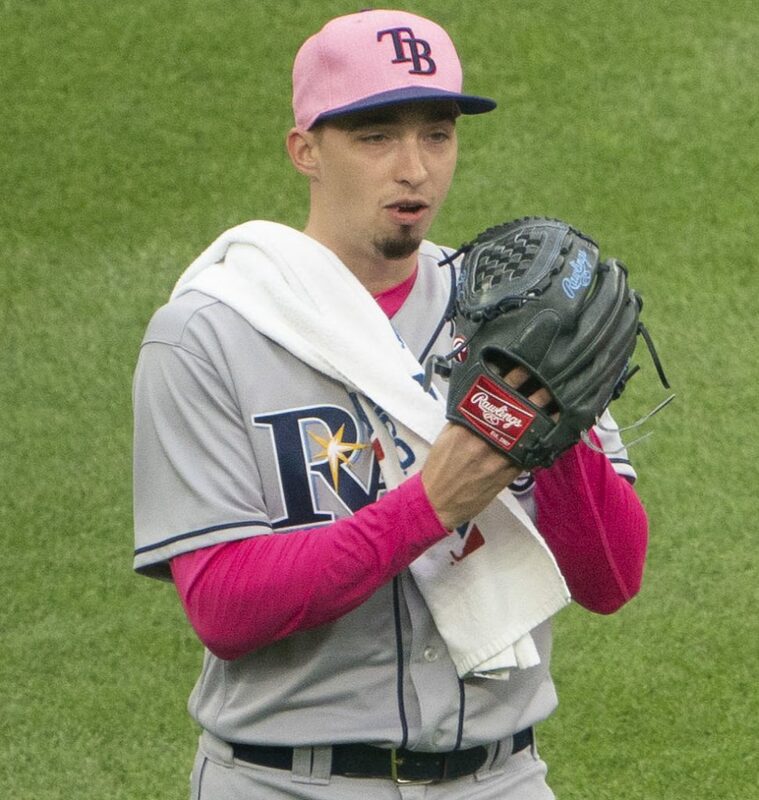 Blake Snell actually increased his velocity as the season went on like he has done in the past. In 2017, Snell averaged 93.84mph in the first month and 96.38 in the final month. In 2018, he averaged 95.68 in the first month and 97.26 in the end. Snell increased his fastball velocity and his curveball usage to become one of the most dominant pitchers in the game.